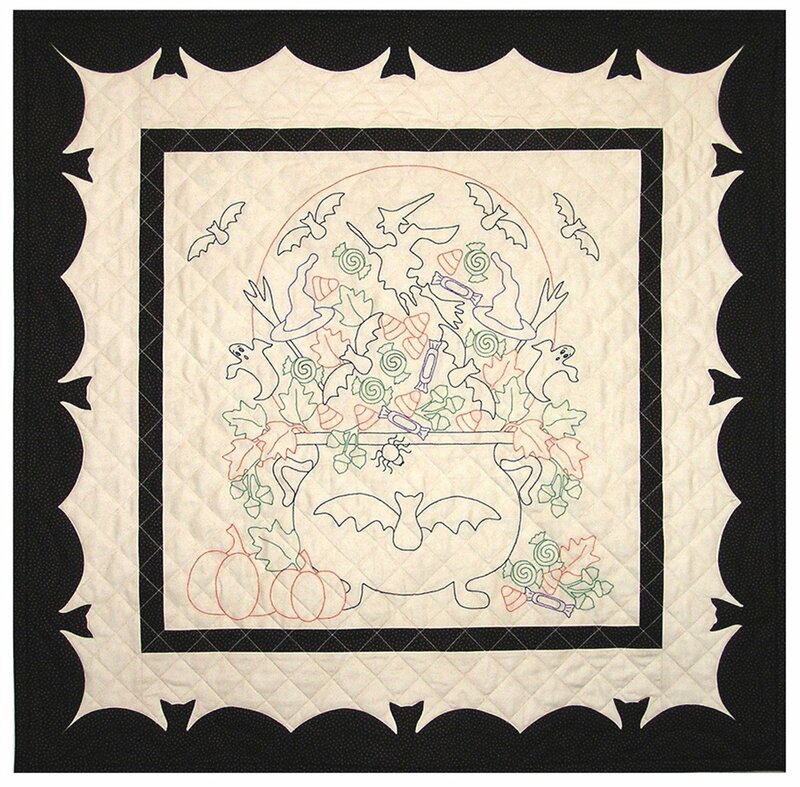 Bewitch your trick or treaters with this 32" x 32" embroidery and applique wall hanging. Full size 22" x 34" color coded drawing and easy to follow hand embroidery and applique directions. Finished Size 32" x 32"